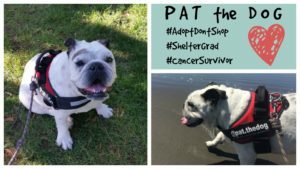 Dog Rescue Stories: Allie’s Pawrents Helped Her Overcome Her Fears! Allie’s mom and dad first saw her picture on RescueMe.org (Oregon). 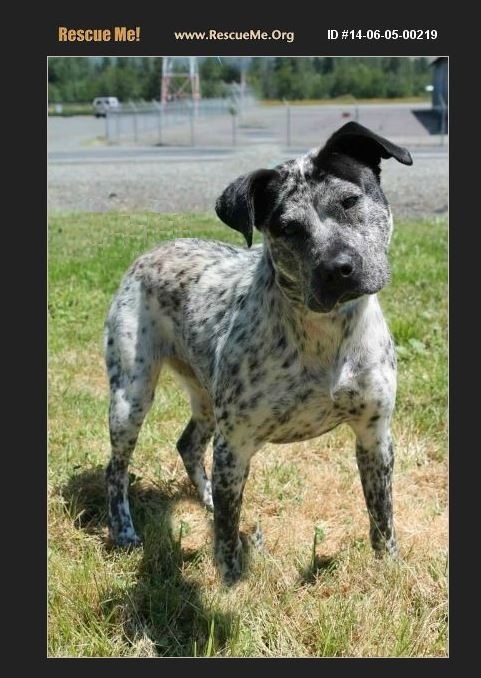 She was listed as a pit bull/blue heeler mix, estimated to be 3 years old. They fell in love with Allie’s picture and breed combination! They had been wanting to rescue a pit bull mix for their first dog together, and Allie has such a unique and sweet look. Her future pawrents read her profile on Save The Whiskers and then coordinated with Raleigh Smith at Shelter Friends of Josephine County (Josephine County Animal Shelter). 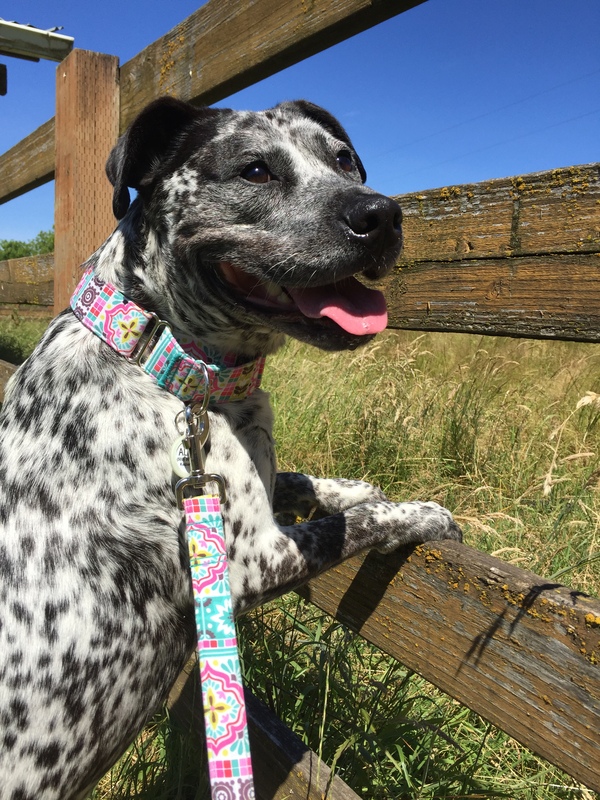 Raleigh told them that Allie had been found as a stray in an alley in Grants Pass, Oregon, and because she was so happy and excited to see people, the shelter named her ‘Happy Alley’. 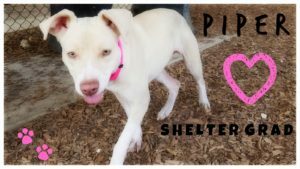 Unfortunately, she was at the shelter for almost 7 months because she did not show nor behave well in the kennel environment, and was intimidatingly vocal with other dogs. Allie’s mom and dad met and adopted Allie on Sunday, July 6th, 2014! After picking her up, Allie and her forever family went straight to Petco. That was when her parents witnessed her reactivity to other dogs. They knew she could benefit from training, so they signed Allie up for a six-week, basic obedience class that day. 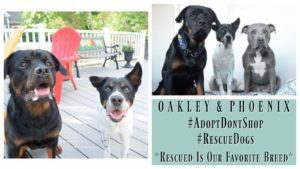 They completed two, six-week classes at Petco and have done additional training with Allie at a local dog daycare/training facility. 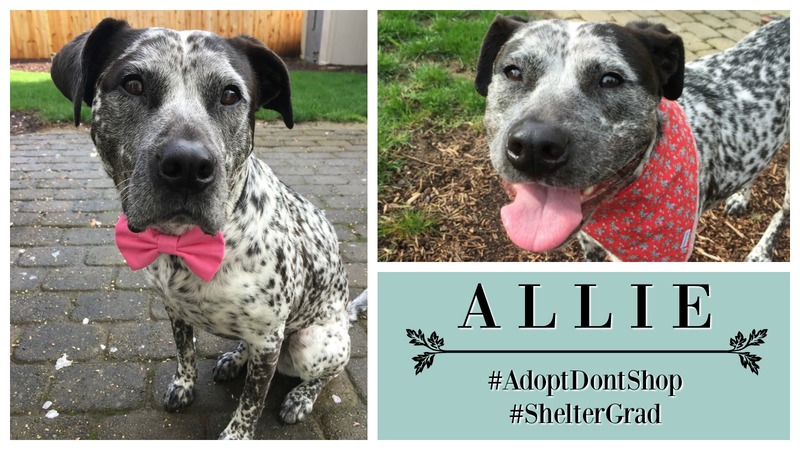 When Allie was first adopted, she didn’t know any commands, had poor leash manners, was reactive to other dogs, and was anxious and fearful of seemingly random things. Allie’s mom and dad believe she was previously abused and possibly had something traumatic happen to her, involving something falling from above, because she sometimes gets scared of moving objects above her, and would flinch if you raised your hand. For example, when Allie and her parents first moved into their house, Allie was scared of the oven, the ceiling fan, the stairs, a wreath on the door, and the garage light, among other things. Now, she’s a happy, confident dog who knows over thirty commands, walks extremely well in heel/loose leash, and plays great with other pups at the dog park and at daycare! Her newest tricks are roll over, spin, play dead, and sit pretty. She made her parents especially proud by achieving her Canine Good Citizenship on March 12, 2016! Allie has also earned her Barn Hunt Novice title (RATN) and is now working towards Open title. Her AKC registered Canine Partners’ name is Speckled Allie Grace CA RATN CGC!! Overall, Allie has become a wonderful breed ambassador! Her pawrents had a Wisdom Panel DNA test done and the results came back as 50% American Staffordshire Terrier, 25% Rottweiler, 12.5% Australian Cattle Dog, and 12.5% Boxer! They mostly see the happy bully breed/pittie face and the gorgeous Heeler coloring in her. She’s such an amazing dog and her mom and dad feel so blessed to have her as part of their family! She celebrated her two year adoption anniversary in July! Some of her nicknames include Allie Ballie, baby pup, pup pup, pretty girl, sweet face, dork dog, and lover girl. She makes her parents laugh and smile every day, and they’re so proud of all she’s learned and achieved. She’s proof that no matter what age or breed, rescue dogs are just as trainable with love, time, patience, and dedication! She’s their fur baby and is very loved and spoiled! Naked sunbathing is the best ☀️ #sunbaby #happydog #backyardpatrol ??? ?Don’t forget to enter my 10k giveaway! See a few posts back for more details ???? Here’s a #flashbackfriday to one of my lure coursing ability test runs ???? 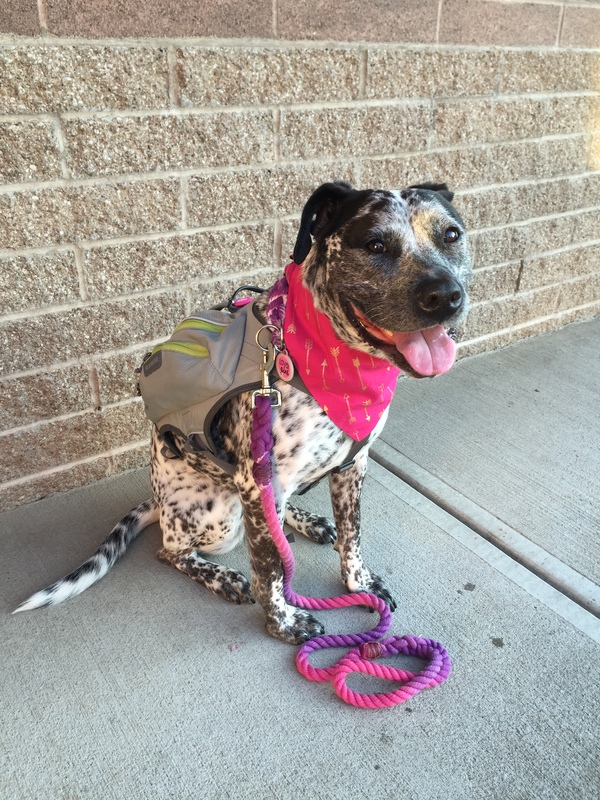 #lurecoursing #fitdog #preydriveandproud *This is my entry for #mojos15kgiveaway hosted by @mojoandfriends. ⭐️NEW CONTEST⭐️ Check out this beautiful and fun new toy I got from @updogtoys! The Odin is a great thinker puzzle/treat dispensing toy and the new Rose Quartz color is gorgeous! ???? Want to win your own Rose Quartz Odin toy from @updogtoys? ???? Here’s how to enter: 1) Like this photo 2) Follow @updogtoys and @pittiepupallie 3) Tag five friends in the comments below (in one comment please) **US & Canada only. One entry per account. ** ??? ?Winner will be chosen randomly and announced on Wednesday the 10th! Friday morning breakfast: @reelraw green tripe, egg, coconut oil, and @greenjujukitchen frozen bone ???? #breakfastofchampions #rawfeedingcommunity #reelraw #perfectlyrawsome Use my code ⭐️ALLIE15⭐️ for 15% off your first @reelraw order! Best way to celebrate #nationalwatermelonday and #watermelonwednesday! ???? 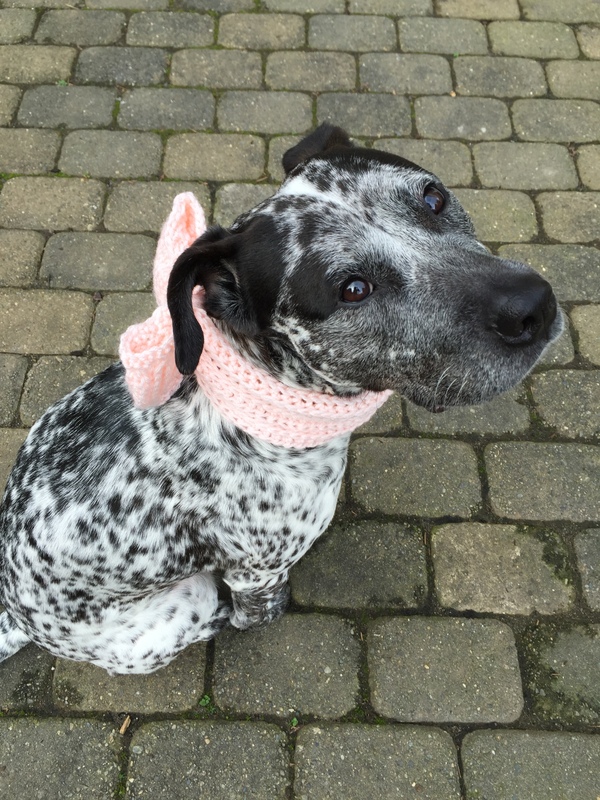 *Watermelon bandana from @bluegrasshoppercreations* Use my code ⭐️ALLIE15⭐️ for 15% off @bluegrasshoppercreations. 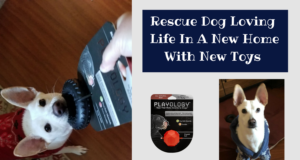 Dog Rescue Stories: Piper – From Unwanted to Spoiled Rotten!